Teacher Tom: "I Could Be Wrong"
I've said it before and I know I'll say it again: every young child is a genius. I don't say this gratuitously or with the idea of somehow flattering children or their parents, but rather because I spend a lot of time with them, and I've yet to discover one who wasn't. 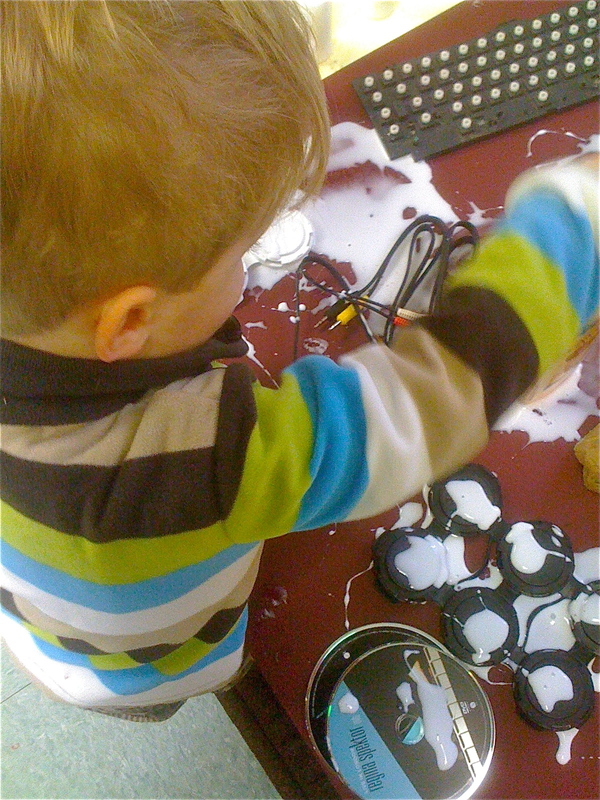 That is why the subtitle of this blog is "Teaching and learning from preschoolers." That's why I rarely write about this pedagogy or that pedagogy, why I don't describe this teaching philosophy or that teaching philosophy. Most of what I've learned about teaching, indeed about life itself, comes from the kids, and I've yet to find a method or system that can encompass all of that genius. And any time I try to place children's learning into some sort of system, I find out I'm wrong. Earlier this year, this video of a nine-year-old boy made the rounds. Dubbed "The Philosopher" by many, this boy stunned and delighted millions of people with his understanding of cosmology and the meaning of life. He is very articulate, a fact that his parents ascribe to their having always used their adult vocabulary with him, and has a grasp of a body of facts that he learned on his own, out of his own passions/curiosity/play, the way every genius does. And instead of being given "right" answers or "learning objectives," or being judged and tested, he is simply playing with those ideas, wondering, forming new ideas, and, to our benefit, he does so aloud. This boy is no doubt a bright kid, but when I've talked to other teachers about this video, we all agree, he is not so extraordinarily unusual, except perhaps in his ability and willingness to articulate his thoughts. Over my years in the classroom, working with children half his age, I've heard thousands of things I've never heard before, been thrilled and stunned by the intellectual and artistic connections children make, how poetically they express themselves, how wondrously they move their bodies or mimic a voice or find humor or sing a song or tell a story or express complex ideas or great beauty through paint or glue or play dough. This is what we discover about young children when they are allowed to play, not that our discovery of their genius really matters other than to the degree that we ourselves continue to be curious about the world and can learn from it. What I'm most struck by about this video are two things. One is how he moves his body as he speaks, squirreling around on chairs, on the ground, on his knees, on his bottom, wiggling and shifting in a way made impossible by the traditional idea of what school is like for third graders, with everyone sitting at desks. I don't know what sort of school he's in, but I'm confident that if his teacher needs him to sit still, she's missing out on a big chunk of his genius because of all the energy she spends reminding him to stay in his seat. But my biggest take-away from this video, the thing I find most impressive, is how often he uses the phrase, "I could be wrong." This is not learning that comes from being told one is wrong, as happens with testing and grades, where being wrong is a judgement to be avoided, a source of shame. No, this is the deepest understanding of all: the sure knowledge that there is always an infinite amount we don't know and to be both curious and excited about that. The real hallmark of genius isn't knowing things, but rather continuing to have an open mind, because, after all, "I could be wrong."